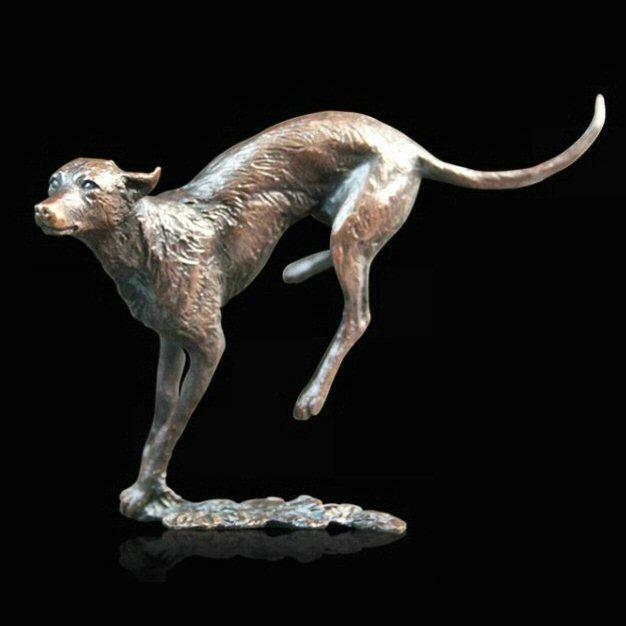 Bronze sculpture of a Lurcher by acclaimed animal sculptor Michael Simpson. Known as the poacher's dog, Lurchers were bred originally as hunting dogs and are prized for their stealth, speed and scenting ability. The are also calm and affectionate making them popular home companions. This finely crafted, limited edition sculpture in solid bronze would be the perfect gift for any admirer of these friendly dogs.